Christine pairs her investing and negotiation skills with professional design and staging experience. Her incredible ability to transform the feel of a home, often with the seller’s furniture and her own accessories, yields results that maximize the seller’s proceeds and reduce stress—she is a seller’s dream agent. Hailing from Paris, France, Christine placed roots in San Diego in 1991, soon brandishing a degree in Interior Design and developing a successful design firm where she thrived for almost 15 years. 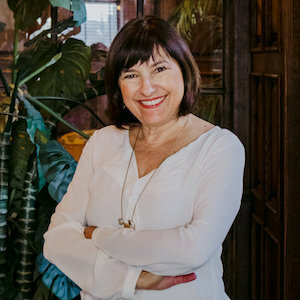 She soon began buying and selling investment properties and discovered her passion for real estate—she has been clients’ trusted agent ever since. As a resident of San Diego for almost 30 years, Christine has vast knowledge of the region and industry. Working in all price points, she has assisted her clients in accumulating wealth through real estate. No matter the property, Christine treats every transaction as if she were the buyer or seller and helps clients establish clear objectives throughout the process. Her ability to develop a personal relationship with each client means she remains is a trusted advisor, not only through the transaction, but also for life. She prides herself in a real estate business that is built essentially upon referrals. Perhaps it is her positivity and patience or her reputation for integrity and professionalism—whatever her secret is, Christine’s ability to consistently achieve her clients’ goals is second to none. Christine has been the real estate recipient of the Five Star Award for outstanding customer service every year from 2012. In 2016 and 2017, the San Diego Association of Realtors awarded her the Silver award for her exceptional production.